Today we look at weeding and feeding! Again, this is so simple I wonder why EVERYONE doesn’t do it. And, if you have some initiative, feeding your soil won’t cost you a dime! Raising your own food is easy. FYI – this is the groundwork. 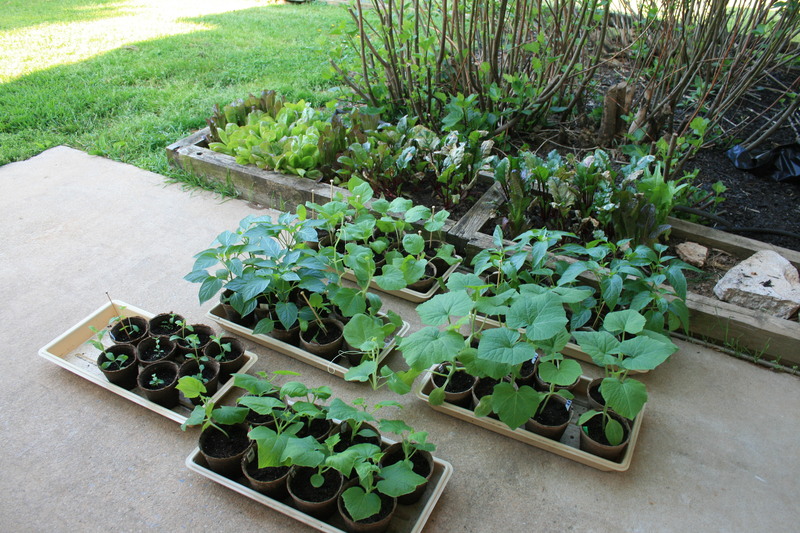 Next week, we get started with starting and growing your own food! Weeding is one thing that any gardener swiftly grows to hate. And the older you get, the less fun it is to land on your knees, bend over and dig the little blighters out. But not weeding can lead to a whole lot more pain than a sore back or a knee with twinges. Weeds grow fast and set seeds even faster. If you see one weed, you can bet that it’s invited about 500 of its closest relatives to join it in the ultimate comfort of your garden. A lot of people reach for the handy spray bottle of herbicide conveniently sold at their local, big box, home improvement store. Herbicides are fast and deadly. But they don’t just kill weeds. 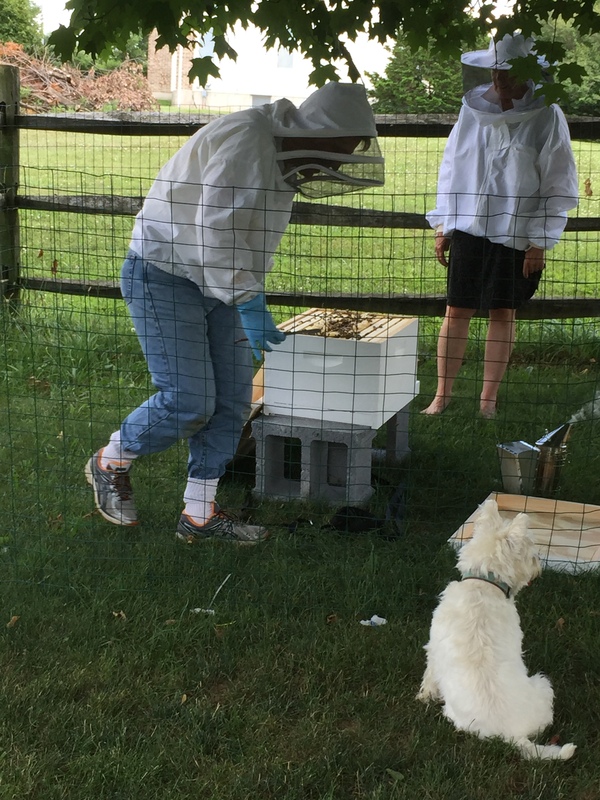 My bees in my backyard. honey bees, worldwide and it looks like the root of the problem is products containing neo-nicotinoids – weed-killing products readily available in this country and in Europe. The debate over cause and effect is in full swing right now but I’m old enough to remember a similar debate about two weed-killing agents – 2-4-D and 2-4-5T. Supposedly so safe that as little children, we were give the job of filling weed wands with this chemical adding water and running through our very big yard, barefoot, killing weeds. So far, both my brothers have succumbed to brain cancer and my older sister is battling kidney cancer. So that’s one reason why I don’t recommend using any herbicides in any form. I also live in the country. Everyone has wells. Do you really want to poison your neighbors, downstream? There are days when I consider it (joking) but polluting the water supply just doesn’t seem like a nice thing to do. What to do to get rid of weeds? I confess that in the early days of my organic gardening life, when I was still gainfully employed, I bought a flame thrower. No, really, I bought a flame thrower and used it to burn weeds out. But it was expensive, the propane tank was heavy, bulky and an added cost. And frankly, I never really killed the weeds, just singed them enough to make them angry and hardy! And I lit my house on fire…but that’s a story for another day. When I found the method developed by Ruth Stout, a pioneer in organic gardening and, even more importantly, a pioneer in making it so easy, I jumped on board with both feet. Here’s how she described her system in an interview done by Mother Earth News. Stout’s method may sound ridiculously simple but it works so well that that most years I only spend a total of 10 hours weeding. 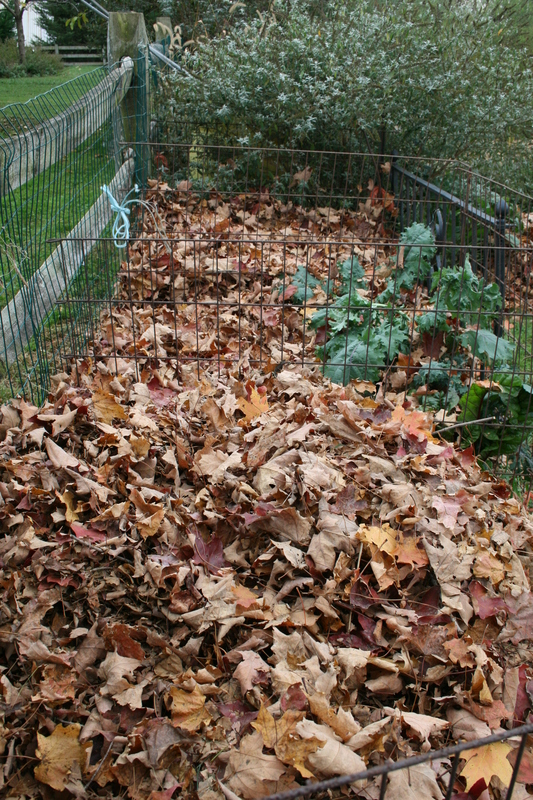 Every fall I cover my entire garden with wet newspaper and straw – about 8 inches of it piled up on top of the paper. Weeds (and all their seeds) are buried alive and prepping the garden for the next spring and summer is done. And guess what? While you are killing weeds and saving your back and knees, you are also feeding your soil. All that mulch breaks down and enriches the dirt beneath it. Sure, some weeds might poke their beady little heads up from time to time but they are so few and far between that I actually welcome the chance to break out my other secret weapon – Fiskar’s Big Grip Garden Knife – the single, best tool I have ever bought and used in my garden. No weed gets away and because of its design, it’s easy on my hands. Made of aluminium, this knife comes with a lifetime guarantee and does that job efficiently and effectively. 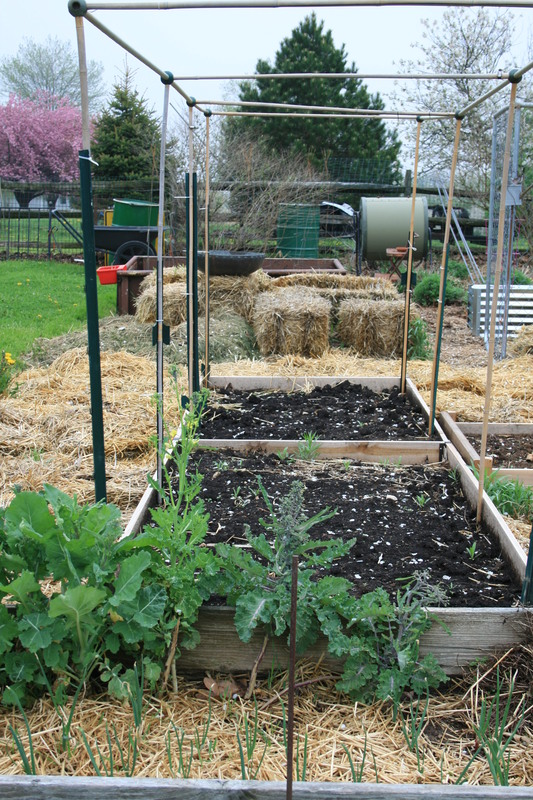 What an amazing system – no weeds, enriched soil and a back that doesn’t ache! Successful composting always sounded like it required a lot of work and a pretty good dose of luck. In fact, I was so scared to try composting, I didn’t! Then I read a small ad in our local paper. Our county was offering Master Composting classes, for free. What did I have to lose except this nagging fear that I really was not cut out to compost. So I signed up. For 4 nights, I got the chance to spend a couple of hours in the company of other, like-minded gardeners. And I learned just how easy composting can be. Composting is easy and free. In fact, the first thing I learned was the formula for making compost. As a Master Composter, I was told not to share it but this was probably the most significant bit of information I picked up. This formula removed all barriers and fears and let me loose in my backyard to compost. Here it is. Now you know the secret to composting and here’s one more. I don’t even water the pile. Composting is not a mystical process that requires an advanced degree. It is the most natural thing in the world. Everything becomes compost over time. Think about that for a minute. Where do all the leaves and twigs, pine needles and grass that fall to the forest floor go? Does someone rush out, rake them up in a pile and watch the pile start to smolder? Not in my neighborhood. Start collecting garbage (veggie and fruit scraps, coffee grounds, tea leaves but no dairy or meat of any kind) in a bucket. Troll your neighborhood in the fall and take some of the leaves your neighbors nicely bagged up for you. Rake up grass clippings and weeds you’ve pulled up (knock the dirt off the roots or they may keep growing in the pile). Dump all three in a pile. There is no rigid method that will open up the pearly gates to composting heaven. Sure, you want to try to balance brown stuff with green stuff but even if you don’t, you will still get composted soil. Composting is free! You do not have to race out and buy accelerators, fancy, rotating tubs, or a compost thermometer. You don’t even need a bin! Magic tools and additives are not required to make compost. You only need them if you are in a real hurry and can’t wait for nature to take its course. Depending on how fast or slow you want to turn out compost, you don’t even have to rotate your compost – flip it over and bring the oldest stuff to the top — unless you want to speed up the process. I like to let God do all the work so I have three bins made out of old dog kennel fencing. I just toss all the brown and green in one of them and leave it alone for a year or two. When I need some composted soil to beef up my garden or feed my new transplants, I just lift the stuff that didn’t break down over the wall into the next bin. At the bottom of the pile, I always find 6 to 8 inches of beautiful dark brown, loamy soil. I dig it out, use what I need and plant something in the bin that I just emptied. Like everything else in the organic gardening world, composting is always treated as a mystical process; it isn’t. It’s really just the natural process of decay. And you can just let it sit and do its thing while you work around the yard. When you need it, the compost will be there, waiting for you. NOTE: if you want to start gardening right away, you can buy composted soil in bags just make sure it’s organic. Read the label. Talk to the seller. Do some research and don’t just buy from big box stores or big manufacturers like Scott’s or Miracle Gro. There is way too much latitude in what’s “allowed” in these soils. Be cautious. Find a reputable, usually family-owned and small, nursery or garden center and ask for help. This entry was posted in Gardening Tips, Organic Gardening, Tools for the Organic Gardener and tagged composting tips, easy organic gardening, learning about organic gardening, no weed gardening. Ruth Stout, organic gardening tips, ruth stout, weeding tips. Bookmark the permalink. You had me at “flame thrower”! Thanks for the compost inspiration. Glad you liked it. I LOVE my flame thrower – actually lit my house on fire with it once….another story.